Charlie Hebdo NOTHING Like Pam Geller… Right? 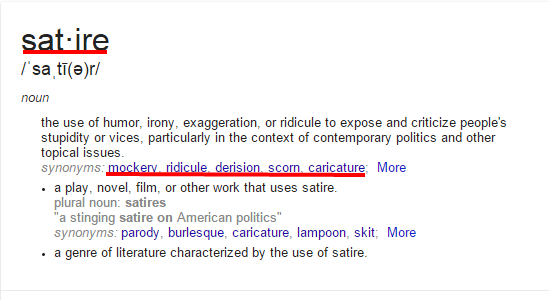 The left (including the Charlie Hebdo crew) is insulted we’d compare what Pamela Geller did to Charlie Hebdo. They want us to know those were TOTALLY different. – Charlie Hebdo drew “the prophet” as religious SATIRE. – Geller did it to MOCK, RIDICULE and DERIDE a religion! Which conclusively proves someone needs a dictionary.